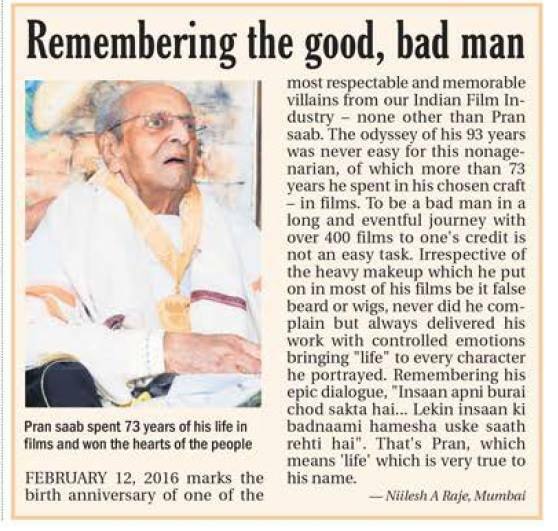 12 February 2016 - Birth Anniversary of the legendary villain Late Pran Saab. Short piece penned down by me on him is published in today's newspaper. Remembering his epic dialogue, "Insaan Apni Burai Chod Sakta Hai. Lekin Insaan Ki Baadnaami Hamesha Uske Saath Rehti Hai".